There once was a thing named freedom. The gods created it for everyone to hold on to from birth and throughout their life, for all of us to rely on. It was a given right and we thought it was safe to stay. It was a world of peace, as it was supposed to be. A world where we would talk and learn and see the places we wanted to see and know the things we wanted to know; it was a free world. There was also a thing named envy. The gods didn’t create it, people did. Why? No one knows. Because the people were bored? Because they were intimidated and jealous? Who knows? But, what can we do? Envy is the flawed human trait, one of them at least. When envy spread across our peaceful world and the people first tasted its sour acid rain, freedom started to fade. First, the people claimed the world and its land. Then, they saw the beauty of nature and took it. 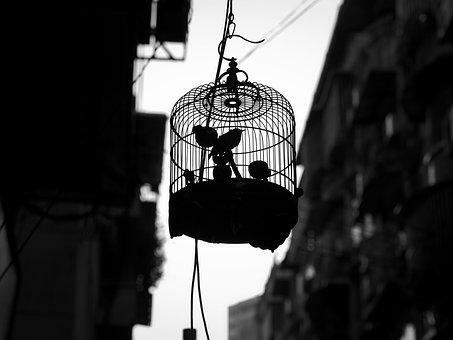 They saw the beauty of the birds and took it, locked them in and traded their freedom for amusement. They kept taking, claiming, and destroying. One day, the greediest of people, saw another person and took them. Freedom has been on the brink since then. Our world has never been the same since we started taking other people’s freedom for our own comfort. Some of us want it to be the way it used to be, some want this to be a free world again. But, some of us are not enough of us.